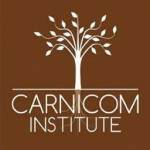 An environmental crystal sample sent to Carnicom Institute from a concerned citizen has been analyzed as to its nature. The ground sample was received three years ago and it has been held in custody since that time. Circumstances are now more favorable toward establishing the identity or nature of inorganic compounds, and thus the opportunity to do so in this case has been exercised. The sample originates from the Santa Barbara – Carpinteria region of the country. The sample is well documented, clean, and has been collected and transported in a careful fashion. One of the reasons for the interest in the sample is a repetition of events. The citizen reports that similar appearing materials have occurred within the same coastal housing district on multiple occasions over a period of many years. In addition, the findings of this study may have relevance to a paper presented earlier on this site. The interest in devoting time to sample analysis is directly related to the the frequency and pattern of appearance. There are also several occasions of crystal samples collected or received over the years that have not received proper attention due to insufficient resources and means for investigation. The majority of these cases, to my recollection, resulted from air filtration systems. These deficiencies have likely delayed our understanding of various forms of pollution that likely surround us, and this will remain the case until full and sufficient resources are devoted to these types of problems. It is the opinion of this researcher that the regulating environmental protections agencies have an obligation to this end and that it has not been well served. The purpose of this paper is not to debate the origin or delivery method of the sample; the information available is insufficient to fully detail those answers. It can be stated in fairness that the observer witnessed heavy aerosol operations over the region in the early hours of the day of collection of the sample. The density and activity level of the operations was stated to be high. The purpose of this paper IS to call attention to what may be a repeating type of material that has potentially important environmental consequences, particularly if they are found to exist in aerosol or particulate form within the general atmosphere. The sample type is also fully consistent with many of the analyses and postulates that have developed within the research over the years. The specifics of that discussion will follow within this paper. 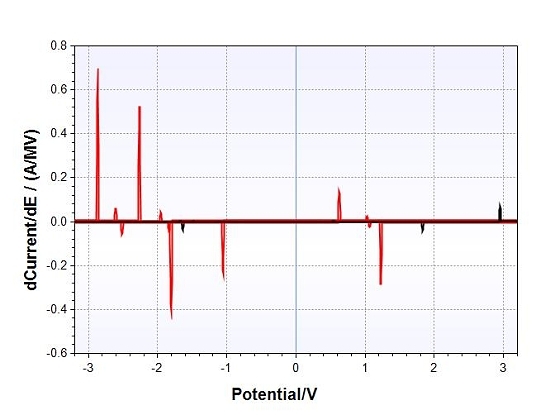 Electrochemistry techniques, specifically differential normal pulse voltammetry. The results of these analyses indicate that the dominant component of the material is that of potassium chloride, a metallic salt form. There are indications that the sample does contain more than one component, but any further investigation will have to take place at a later time. Every physical and chemical form has implications, applications and consequences, especially if they occur in a manner foreign or unexplained to the environment. The material shown above is of no exception to those concerns. It may be the case that the appearance of this material in an unexplained manner and location is of no consequence; prudence, however, would suggest that we are obligated to seek out that which has no accountable explanation. This premise is at the very heart of any forensic investigation, and environmental science and pollution control are also subject to that very same demand. A brief bit of historical perspective on this topic could be helpful. A search on this site on the subject of crystals will bring up a minimum of eight additional papers that are relevant; there are likely to be more. These papers range in date from 2001 to the current date, so from this standpoint alone there is a repeating issue involved here. A search on this site for historical presentation on potassium issues produces at least three papers on the subject. There is reason to consider, therefore, that potassium (and related) chemical compounds may be worthy of examination with respect to geoengineering as well as biological issues. Within this combined set of close to a dozen or more papers on the subjects, two will be mentioned further at this time. 1. Two generally similar and unaccountable sample forms appear in similar locations over a 10 year period, and a public interest in identification of the nature of the material remains over this same prolonged period. 2. The report in 2003 is reasonably brief with a limited microscopic examination offered. The topic is mentioned more in the sense of an anomaly and a curiosity as there is no basis at the time for an in depth study of the materials; in addition, resources to do so at the time are non-existent. 3. The third will be the comment regarding the lack of water solubility of the first sample. The importance of this observation will be the fact that the samples, although visually similar, have important differing chemical properties. The conclusion is that multiple material types are expected to be subject to investigation over the course of time. It will also be noticed that several health and environmental concerns with respect to aerosolized potassium salts are enumerated in that latter paper. Attention should also be paid to the intriguing discussion of electromagnetic effects and impacts that must be considered with the chemistry of potassium and related ions. Potassium chloride has common uses as well, such as a fertilizer or as a water treatment compound; there is, however, no cause given to think that it is being used in such fashions at this location and setting at this time. Let us now bring ourselves back to the current moment. The relevance and direction of those papers have borne themselves out over time, and the urgency of responsibility upon us is as imposing as ever. We do not have the luxury of another 20 years to conclude on such an obvious state of affairs. There are at least three immediate applications or consequences of the existence of aerosolized potassium chloride upon the atmosphere that should be mentioned. With respect to heat impact, potassium chloride is highly soluble within water. When it does dissolve, it absorbs heat from the water, and the magnitude is significant. Potassium chloride has actually been used as a cold pack commercially for this same reason; it is also readily available and relatively inexpensive. It therefore can potentially be used to influence atmospheric thermodynamics, and this is one of many leads of investigation to pursue. On the flip side of the equation, potassium chloride in a solid state has a rather low specific heat, especially relative to that of both air and water. This means that, depending upon the state of the surrounding atmosphere, that it can also possess the capability to heat the atmosphere, rather than to cool it. Furthermore, potassium as a metal in its elemental form also has a lower specific heat than air and once again this may allow for a net heating impact upon the atmosphere, depending on states of being, location and interaction with other elements or compounds. The point of this discussion is that metallic salts of any kind DO have an impact upon the heating dynamics of the atmosphere, and that this process can be both complicated and variable. You cannot place anything into the atmosphere without having an effect in some fashion, and it is a mistake to oversimplify and overgeneralize as to what those changes will be. The location of placement of aerosols is another matter also, as has been discussed extensively on this site. We are, therefore, not permitted to remain ignorant of the impacts that foreign and contaminating materials have upon the environment; heat dynamics are only one of many aspects of that we are forced to confront when the atmosphere is altered in ANY significant fashion. There are, of course, many other environmental consequences from the addition of ionizable metallic salts into the environment. These include plant life and agriculture, for example. Readers may also wish to become familiar with a discussion regarding soil impacts as presented within the paper “The Salts of Our Soils” (May 2005). As far as moisture is concerned, heat and moisture are obviously very closely related subjects. One of the trademarks of the salt genre is that of absorbing moisture. Some salts attract moisture so strongly that they are hygroscopic, meaning that they can draw moisture from the ambient atmosphere. The observation of this phenomenon is quite remarkable; one can start with a solid and watch it change to an eventual liquid form. Calcium chloride and strontium chloride are both good examples of this class of materials. Locking moisture up in this fashion will most certainly increase the heat in the atmosphere; water is one of the greatest cooling compounds that exists on the planet. It is impossible to separate heat and moisture impacts when dealing with aerosolized metallic salts; it is certain that there will be an impact upon the atmosphere, environment and health. It is difficult to predict a favorable outcome here. Lastly, there may still be some that will ridicule the notion of electromagnetic impacts of ionized metallic salts upon the atmosphere and the environment. I think such an approach might ultimately be foolhardy. This tenet was brought forth early in the research of this organization, and the premise remains as strong as when it is originated. For those that care to repeat the enterprise, there are measurements to support the hypothesis, and they only continue to accumulate. 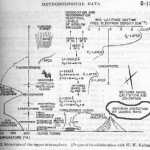 For those that seek conventional sources, one need look no further than a document that traces back to the 1990’s, entitled “Modeling of Positively Charged Aerosols in the Polar Summer Mesopause Region” (Rapp, Earth Planets Space 1999). A very specific reference of the ability of potassium in combination with ultraviolet light to increase the electron density of the atmosphere will be found there. There are other elements that share in this remarkable physical property, and they have been discussed within this site for many years now. Reading the patents by Bernard Eastlund may also be insightful. The ability of moisture to ionize many metallic salts is also to be included within the examinations that are required to take place. It is difficult to ignore and discount the fundamental heat, moisture, and electromagnetic impacts upon the planet when metallic salts are artificially introduced into the atmosphere. It would not be wise to do so. The case for investigation, accountability and redress is now strong, and each of us can make the choice as to how to best proceed. It seems to be a simple matter to want to protect and ensure the welfare of our gifted home, as our existence depends upon it. Clarity and unity of purpose would seem to be an end goal here; I hope that each of us will seek it. Clarity and unity of purpose would seem to be an end goal here; I hope that each of us will seek it. Approximately a dozen methods of investigation have been used to reach the conclusions of this report. These will now be described to a modest level of detail to assist in portraying the complexities of analyzing unknown environmental samples. This description will further the argument that the citizenry is not realistically expected to assume this burden and cost; contamination and pollution are at the heart of existence for publicly funded environmental protection agencies and entities. It is recommended that the public seek the level of accountability that is required to reduce and eliminate persistent and harmful pollution and the contamination of our common environment. The analysis indicates a minimum of two chemical species to consider. The first of these is a suspected Group I or Group II element (-2.87V). The most probable candidates to consider will be that of calcium, strontium, barium and potassium. The other will be the consideration of the chloride ion ( +0.63V and +1.23V). At this point of the investigation, our strongest prospect will therefore be an ionic metallic salt crystalline form, most likely involving a subset of Group I or II of the periodic table. The most likely candidate will, furthermore, be a chloride form of the salt. With respect to the first set of four, the solubility tests applied (i.e., water, methanol, acetone, sodium bicarbonate, acid, base) eliminate all but potassium chloride for further examination. We now attempt to confirm the existence of the chloride ion in a redundant fashion. A qualitative chemical test (HCl, AgNO3) is then applied to the sample in aqueous solution. The existence of the chloride ion is confirmed. The set of three candidates remains in place. The next method applied to the sample is the determination of the melting point of the presumed ionic crystal form. Ionic metallic salts have generally high melting points and this does present some difficulties with the use of conventional equipment and means. The methods of calorimetry were adapted to solve this particular problem. 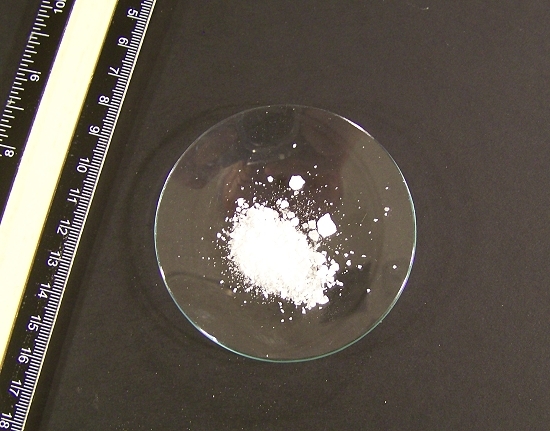 The methods were also applied to a control sample of potassium chloride, as well as two additional control compounds. The results of the control and calibration trials produced results within the range of expected error (~ < 5%). The melting point of the crystal form was determined experimentally by the above methods as approximately 780 deg. C. The melting point of potassium chloride is 770 deg. C. This result is well within the range of expected experimental error (1.4%). During the process, it was noticed that an additional minority compound does exist within the sample, as a small portion of the sample does melt at a much lower point (est. 300-400 deg. C.) The minority compound would require separation and identification in a further analysis. The melting points of lithium chloride and cesium chloride are 605 deg. C. and 645 deg. C., respectively, and they are thus eliminated from further consideration. These results narrow the list of candidates specifically to that of potassium chloride. An additional controlled test of conductivity of the salt in solution was applied. The result of that test indicates agreement in conductivity with a known concentration solution of potassium chloride. The error in that case was also well within the expected range of experimental error (0.6%). In addition, further tests involving density determination, index of refraction, visual and microscopic crystal analysis further substantiate the identification of the crystal as being primarily that of potassium chloride.